I started this show and watched 3 episodes nonstop for 3 days. Once I stopped watching for a day, I could no longer force myself to binge watch anymore. I want to know what happens, but it seems like the same thing kept happening over and over. I hear that it's really a good show. Maybe I'll finish it when I get some free time. It is definitely addicting and should be saved for when you have time to be glued to the tv screen for days. Excellent series! First two episodes are slightly show, but gets awesome by the third or fourth episode in. Addictive! Watched the entire season. Very addictive show. The first episode pulled me in and had to watch them all. This show is beyond phenomenal. The cinematography alone, is just beyond words. The camera angles, the shots, the lighting...the direction, the acting... Not all shows live up to the hype. This one does. Watch it. Then watch it again. Be amazed at what you missed, and be humbled by it's brilliance. Absolutely amazing. Its cliffhangers make you stay tuned until the end. 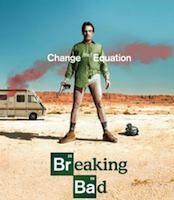 It also has great character development, especially from the protagonist, Walter White. Great acting. Definately must watch. This is one of the best shows out there! The cast is amazing. The storyline is even better! The show is very very addicting and my husband and I recommend it to anyone who asks for a new show to watch. I was sad to see it end but the way it did end was amazing! It keeps you going and you don't want to stop watching it! This show was awesome, miss it. I watched this show a couple months ago! It was great! If you don't love the first episode you won't love the show. I could not binge watch this show though and definitely took my time only because it was so emotional. The last season was done perfectly and definitely makes this one of the best shows ever. Yet another crazy show I'm totally addicted too! I didn't like it as much towards the end, but of course I had to stick it out. Sad it's over - Loved poor Jesse!